#StartUps – Just Plain Charming! 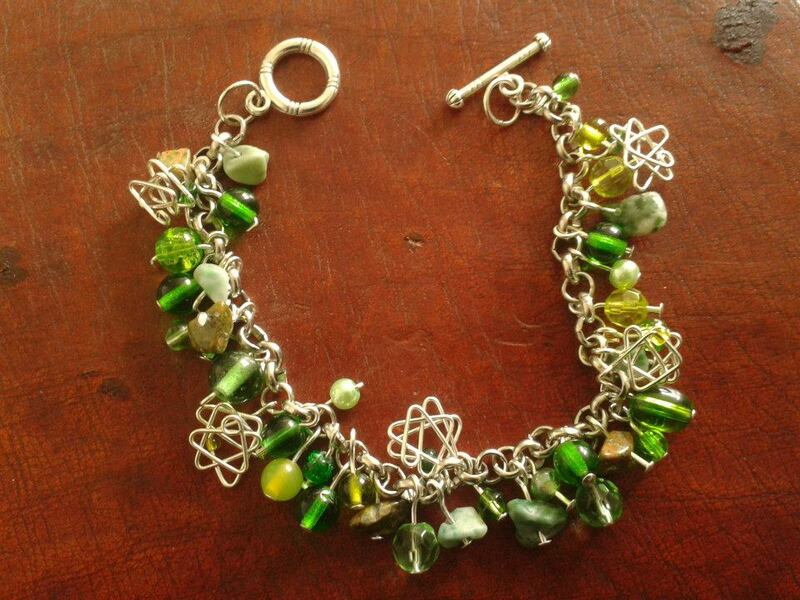 Nina Gizzie is the founder of Just Plain Charming – designing , making and selling handmade and bespoke jewellery. She is a creative individual who started her jewellery business while studying for a degree in Biomedical Science, talk about enhancing your academic experience! She has been able to successfully blend her love for both microbiology and jewellery by designing exquisite microbiology themed pieces…taking her ‘bugs’ outside the petri dish. In this article, Nina shares how she converted her hobby into a business, her inspiration and advice for budding entrepreneurs who are thinking of starting something of their own. I graduated with a degree in Biomedical Science from University of the West of England (UWE) in 2014. My main employment is as a Graduate Assistant Researcher in Microbiology completing small research projects in collaboration with an industrial partner. I also have part time employment as a Climbing Instructor and Duty Manager. APH: What was the inspiration behind Just Plain Charming? I have always loved crafts and the sense of achievement that comes from making something yourself. 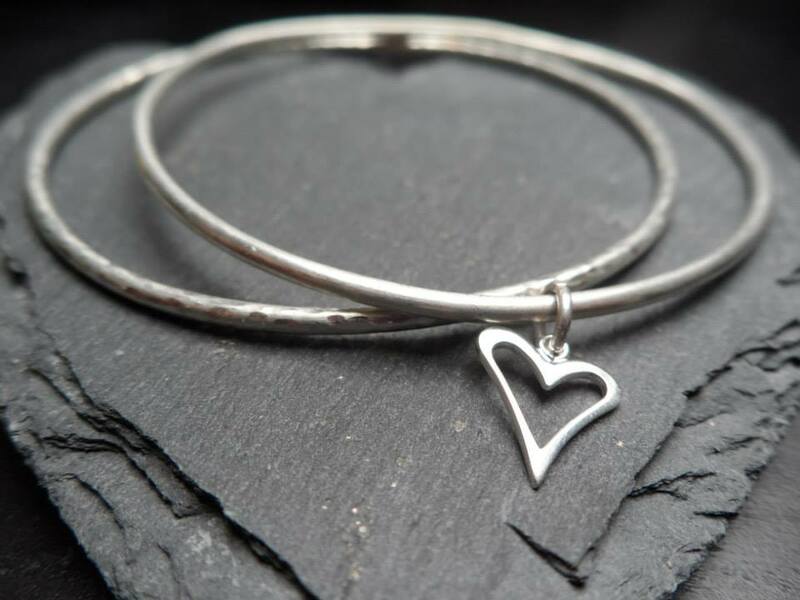 I dabbled in all sorts of creative hobbies previously such as knitting, sewing and baking but first got the inspiration to make jewellery at the Bristol Harbourside festival. I was perusing all of the wonderful stalls and one with copper/bronze jewellery caught my eye. After buying a lovely copper beaded bracelet I asked the seller how long she had been in the business. She said it had started as a hobby but she ended up with so much stuff and had to start selling things. I just had a little passing thought of ‘I wonder if I could make this kind of stuff’ and that is how it all started. A few days later, I bought some items to play with such as beads, chains, and charms. The more I studied different techniques and designs, the more I found to do with different materials and it just keeps on growing! The inspiration for most of my products just comes from looking at existing creations and playing around with them to make them my own. The microbiology themed jewellery I do was inspired by my career path and although it may not have wide-spectrum appeal, I like how different and quirky they are. I would like to say that the name just came to me naturally but it took weeks of juggling different names. I chose this one as all my products were based on using charms and I thought it was a cute play on the words. Only about half my current products now contain charms but the name still applies to the remainder of products being charming…well at least I think it does! Images courtesy of Nina Gizzie. Please do not use without permission. APH: How important has social media and networking been to your business? It has been crucial. To start with, social media was the only place I could showcase my products and is where I made my first load of sales. Although I now sell primarily at markets and don’t push sales as much on social media, I still show off items I have made on there to my current followers to get their views and opinions. APH: What are the challenges, if any, you face? When I first started out, it was fronting the initial cost. In the 8 months I have been in business, I have spent around £2000 which is a big cost, especially for a student. I have earned most of my start-up capital back with sales but with my more recent pieces being sterling silver and precious metals/gems these upfront costs have increased. It was much easier and simpler with cheaper products but I like the challenge and taking up opportunities to further expand my business. Another factor is time. I currently have 4 jobs and one of them is full time so having the time to make anything or run stalls is limited, I enjoy my jobs so quitting isn’t really an option. I would still like to further my career in Microbiology so for now this venture is about making money from something I love! Finding the balance can sometimes be an issue. You also have to make a lot of stock which you may or may not sell leaving you with products that have cost money and time which no one wants. This cost is amplified when using semi-precious metals as you could be sitting on many unsold pieces of jewellery that may cost £20 or more each! It is annoying but unavoidable! APH: Have you made any mistakes and what lesson(s) did you learn? I have a habit of getting carried away with hobbies putting everything into them and rushing ahead. In all honesty you can say I did the same with this…bought A LOT of stuff, some I have still never used. I am also quite impatient so practising is not something I like to take time with so I have wasted material in failed attempts. I have also lost money buying the wrong items. However, when it came to playing around with the precious metals, some sense kicked in and I invested in a 6 week course so I could develop my skills and I am glad I did! I would like to say I have learned to be patient and not so carried away but I could still do with some work!!! APH: Who are your business role models, if any? Cliché as it sounds the ‘Dragons’ (from Dragon’s Den) give me inspiration, especially Duncan Bannatyne. I have a lot of respect and admiration for those that have made their way by coming up from nothing such as him. He started off with no wealthy family, having many odd jobs all the way up to his 20’s and not particularly excelling in anything. He then bought an ice cream truck, building up his business into an empire that includes his famous health clubs. I find this inspiring because it means that no matter who you are or your background…if you find something you want to do…then do it! APH: Finally, what advice would you give aspiring entrepreneurs? Just do it! Give it all! Start off simple and don’t get ahead of yourself (like I do), test the waters if it works build on it. It may not be perfect but if you give it time, effort and passion you can build something amazing.